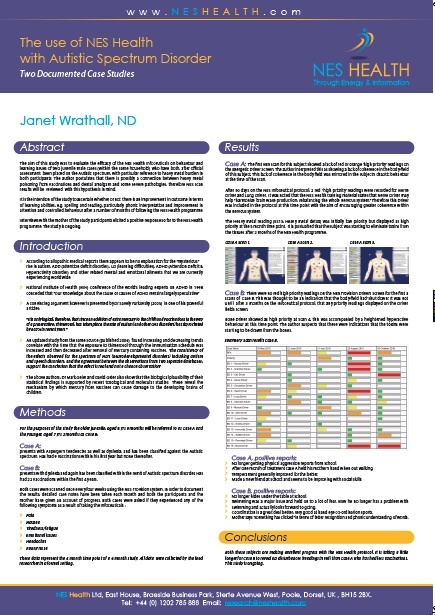 Research Poster looking at the efficacy of NES Infoceuticals on CFS and Fibromyalgia. 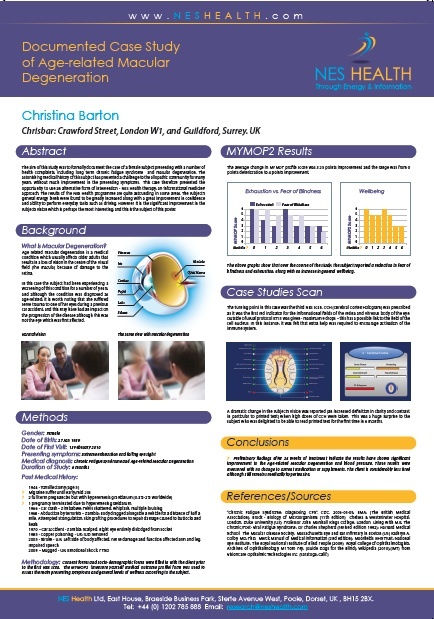 Research poster of a case study on age-related macular degeneration. 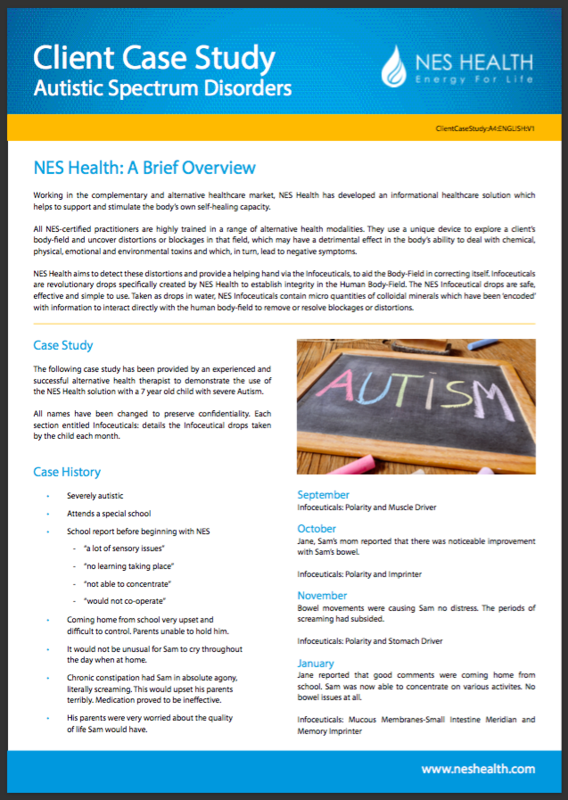 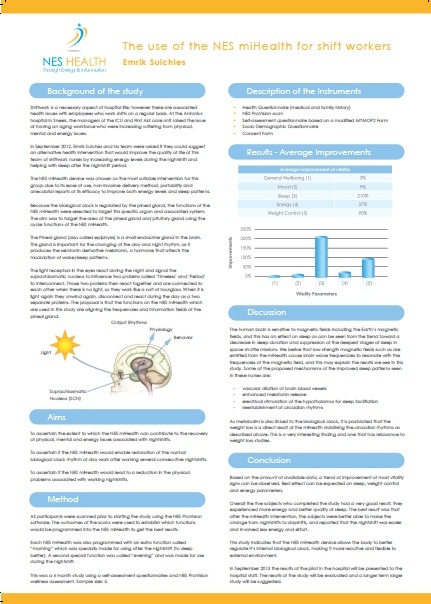 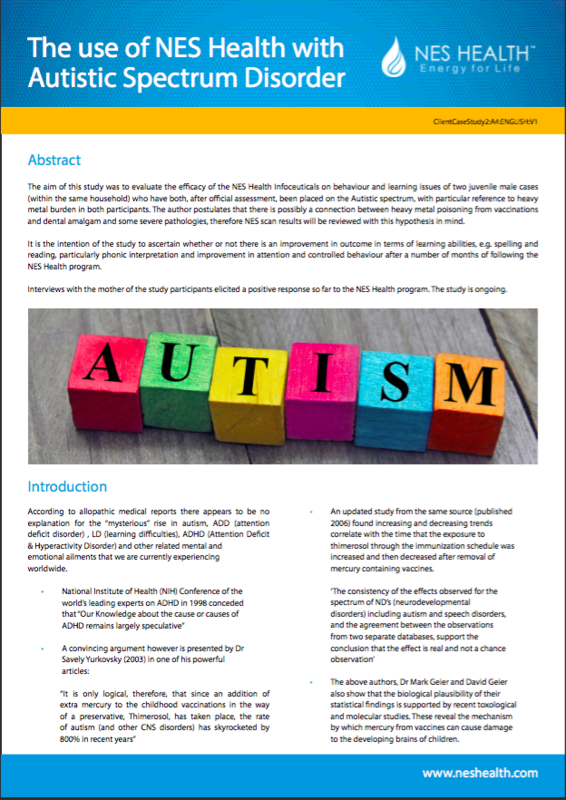 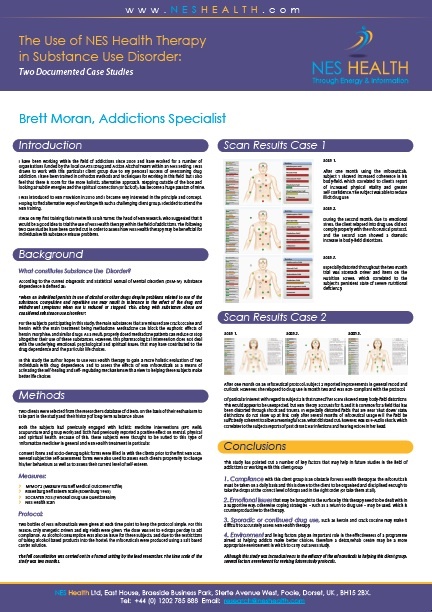 Research poster of a client case study on Autistic Spectrum Disorder. 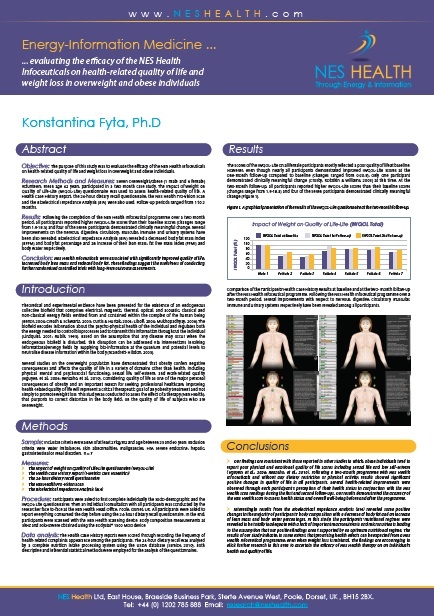 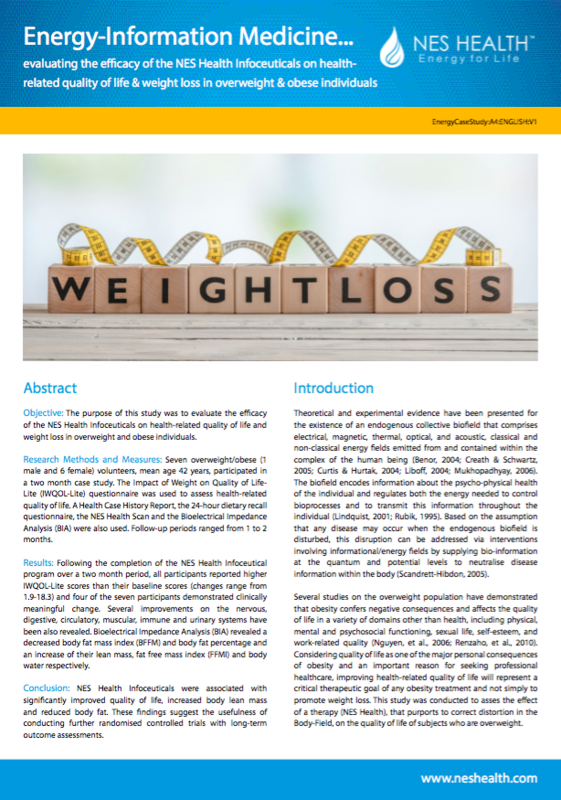 Research Poster looking at the efficacy of NES Health on quality of life and weight loss. 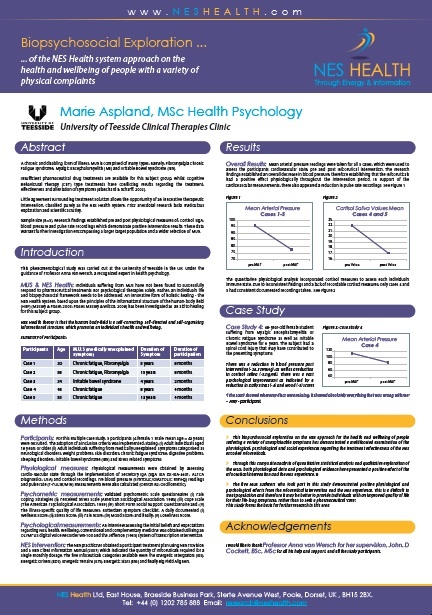 Research poster looking at NES Health therapy in substance use disorder. 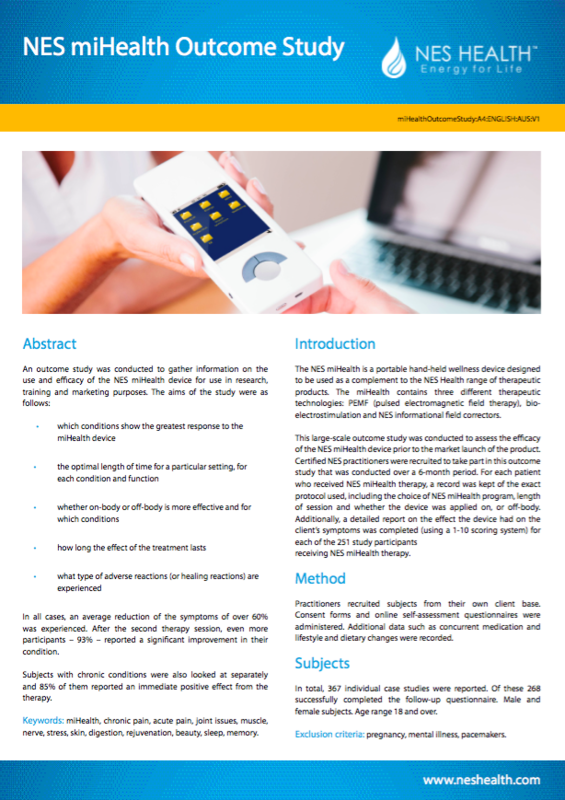 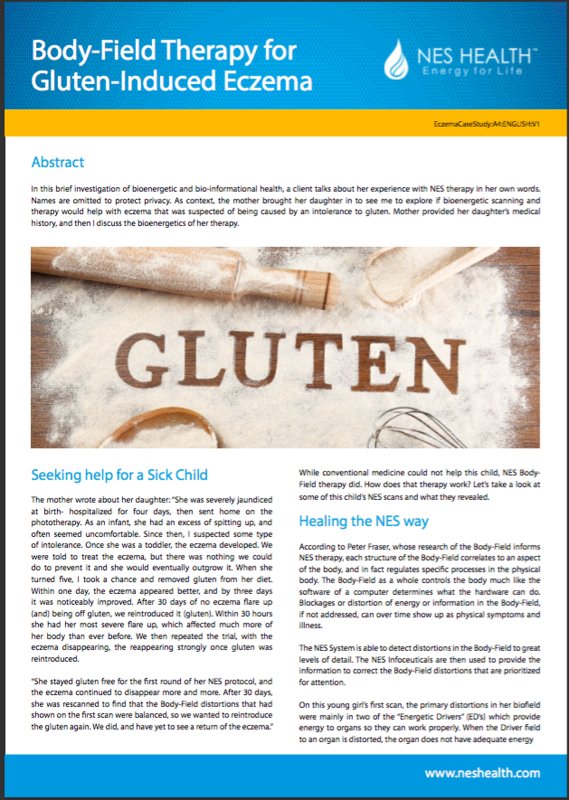 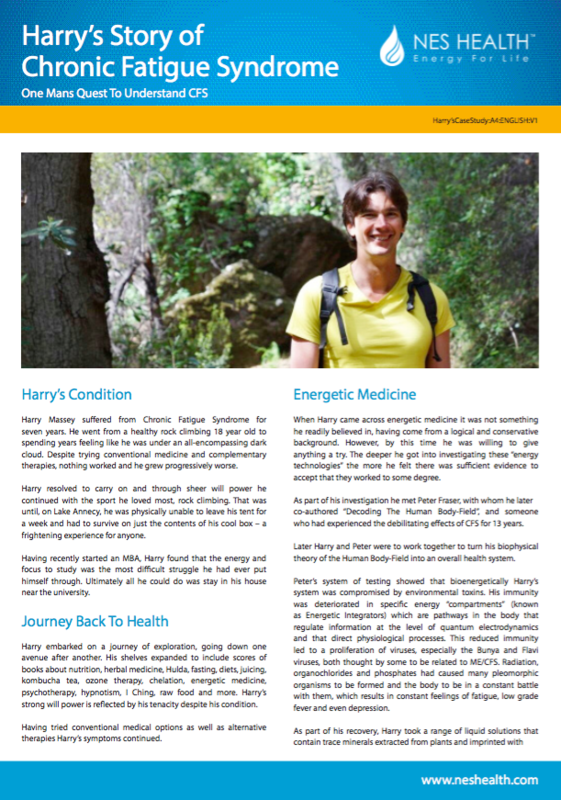 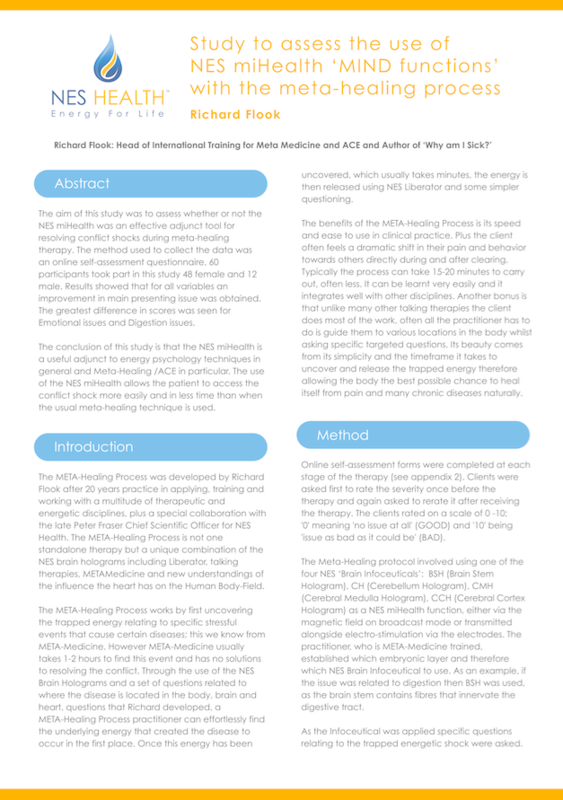 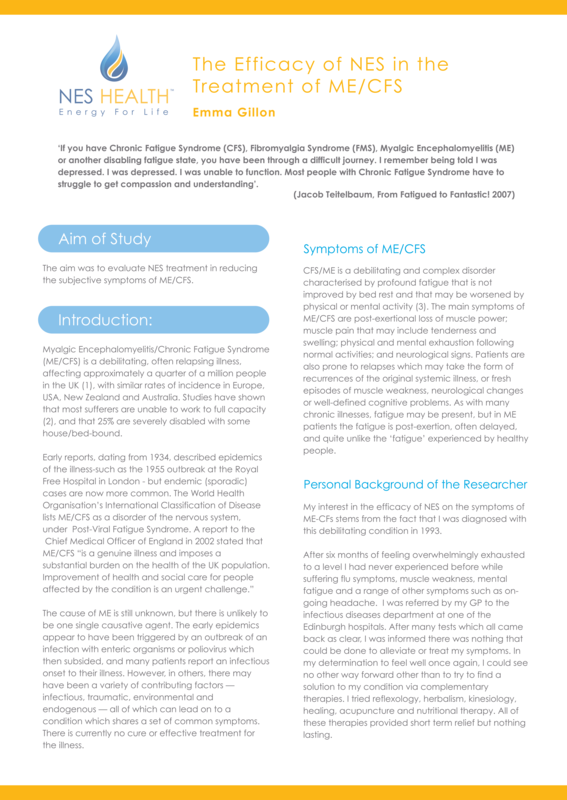 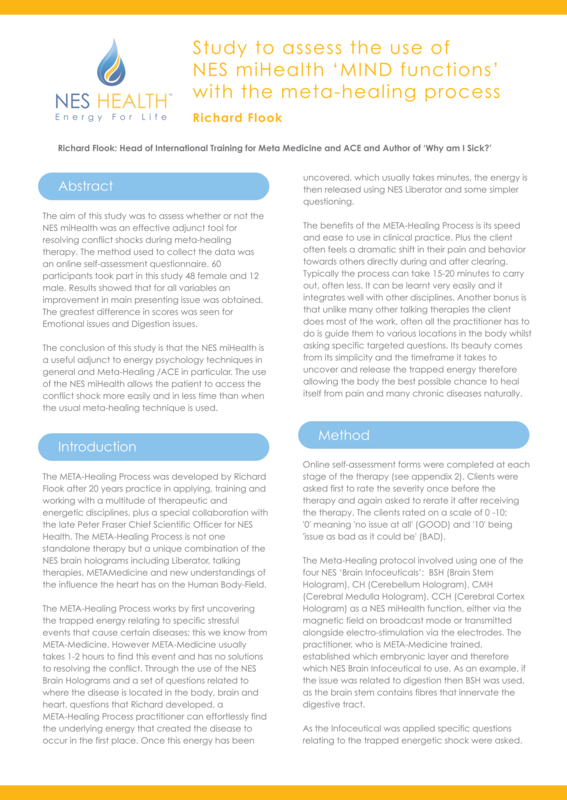 Research Poster: The Use of NES miHealth Mind functions, incorporating META Medicine.